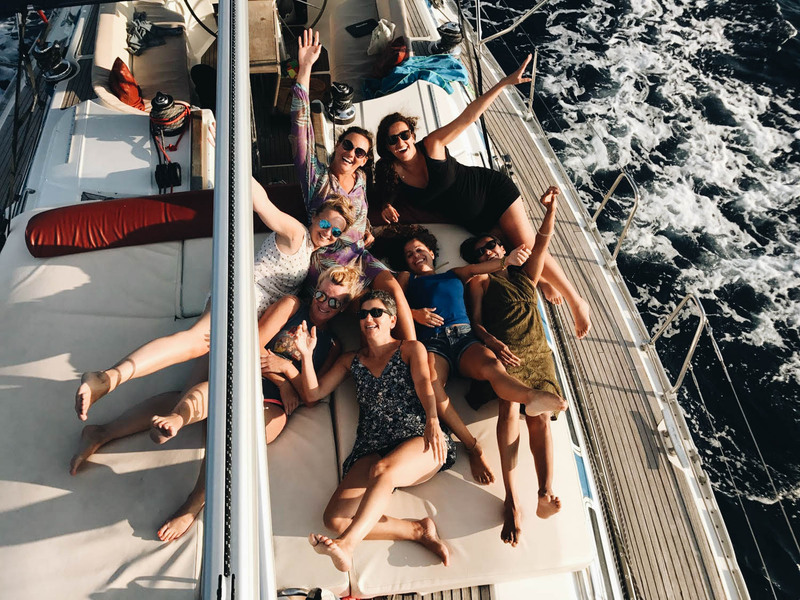 "A UNIQUE EXPERIENCE OF A WEEK OF SAILING & PRACTICING YOGA IN STUNNING SPOTS OF THE ISLANDS "
This is an opportunity to enjoy sailing the Mediterranean and experience life on a sailing boat, practice Yoga in beautiful places and participate in many other magical moments that simply happen on these weeks. We will set sail from Ibiza port to embark on this great little adventure. It will be a maximum of 10 of us, living and sailing on this amazing boat. 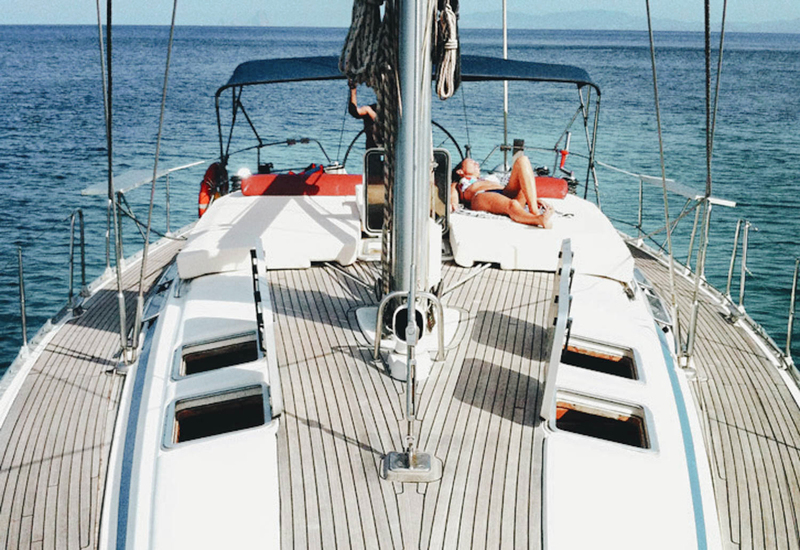 Everyday depending on the weather and wind, the captain will take us to the best beaches and spots. We will find the most beautiful beaches for the morning practices, and them we will sail along enjoying the mediterranean sea. We will finish our day enjoying a meditation session or a yoga practice whilst the sun goes down. At night we will moor in a cool beach where we will spend the night and enjoy a meal in the restaurants by the beach. The yoga practices will take place in different beaches each morning. The practices will be Vinyasa based and tailored to the group and each individual. The classes will be created to suit the sand element and ensure you enjoy the practice. We will also combine the yoga practices with meditation and/or other sessions in the afternoon. Both in the boat deck and in land. We will ensure we don’t miss any of the stunning sunsets that the Balearic Islands offer. This is fantastic time of the year to visit and enjoy the White Islands. Ibiza is a multi-facetted island. Although many know it for its famous clubs, Ibiza has got much more to offer, many secrets to discover. From stunning beautiful beaches and coves, to Ibizenc villages, Catalan food, the amazing Unesco listed Old town of Ibiza, the charms of the island are unlimited. 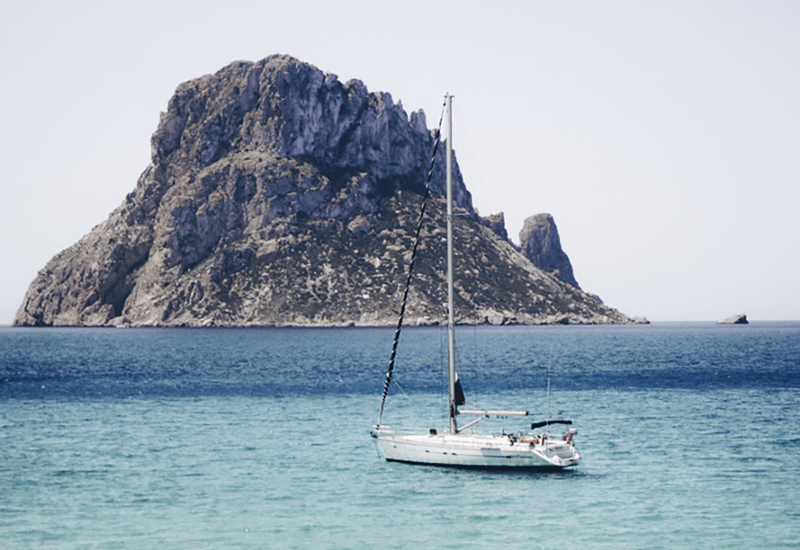 We will be sailing from some of the hype famous Ibiza beaches to quieter sandy coves backed by pine-clad hills found all around the coastline. You will also feel a different energy around Ibiza, with the rock of Benirras in the North of the Island, and the majestic rock of Es Vedra in the south, Ibiza is known as the 3d most magnetic place in the world. We will be set sail at 14:00. Please ensure you coordinate your flights to meet the Saturday timetable. 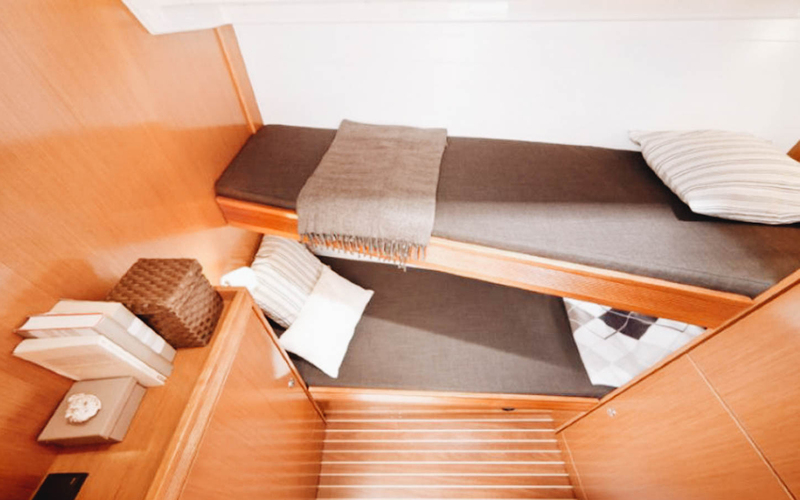 Our Boat is a great and very comfortable 47 feet long sailing boat. It will accommodate up to 10 people in 5 different cabins. Including the Captain and the Yoga teacher, the crew on board. 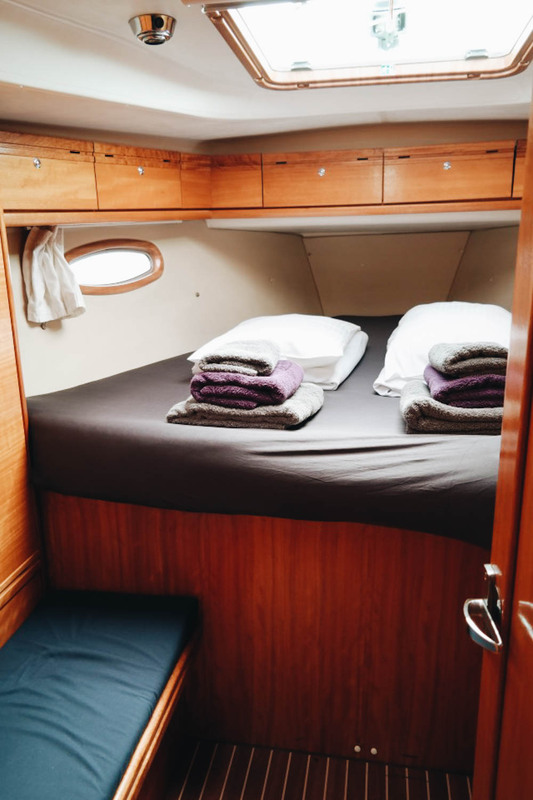 On board, you will find all facilities; kitchen, bathrooms and an inside spacious saloon area. This charming sailing boat also offers a great outdoor dining space, with e sitting area. This promises many beautiful breakfast, brunch and dinners al fresco absorbing the scents of the ocean and the surrounding landscapes. The boat also offers a great front deck to relax and where we will have some of our meditation or sun gazing sessions. 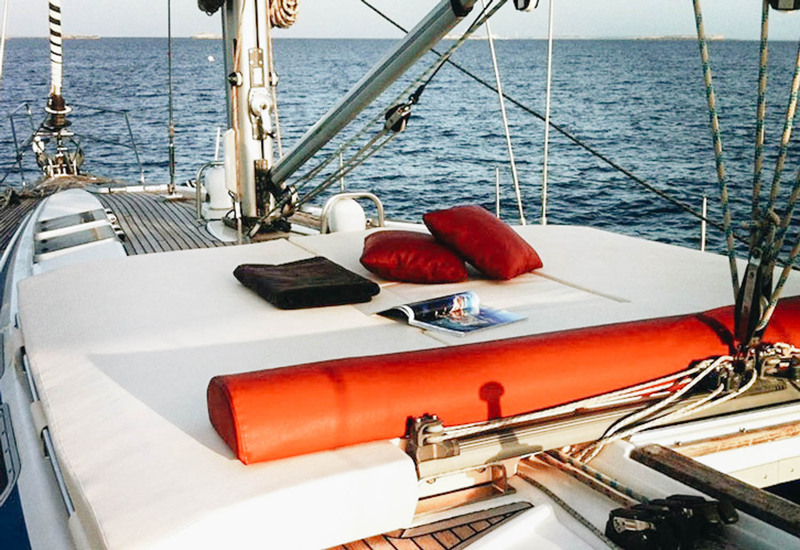 There is plenty of space on the decks outside to relax, read, or sunbath whilst sailing. Accommodation is on shared basis, in cabins offering the basic comfort you need for a good night of rest. 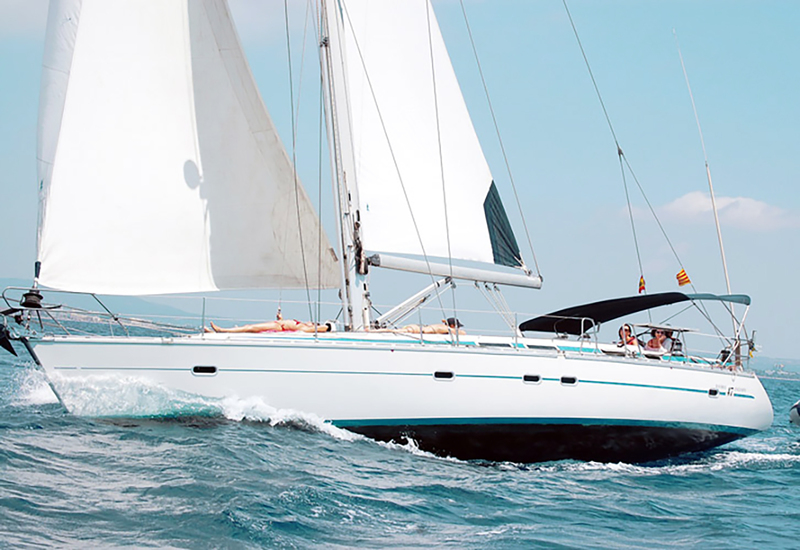 During this week you will experience life on a Sailing boat. You will discover the life from the sea and have the possibility to access many beaches, places, and restaurants non reachable by land. 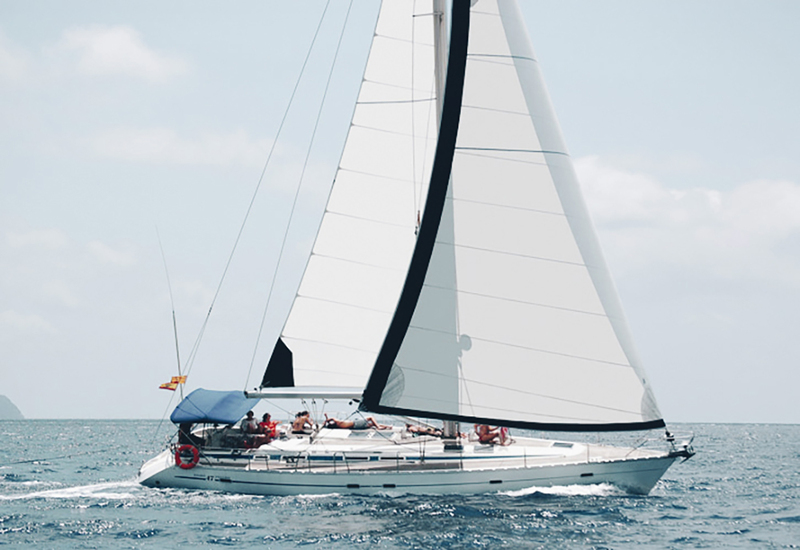 The times sailing are moments for yourself, relaxing moment or the opportunity to chat and socialise with the group as well as learning sailing basics if desired. The daily stops on land will give you the opportunity to go exploring the island, discovering local food, cities or villages. Part of the retreat will be team work and in the boat you are an essential part of the crew. That means that you will have to collaborate with the captain, the yoga teacher and the rest of the participants for a smooth week. That includes boat sailing basics as well as tasks such us setting the table up, help preparing the meals or cleaning the dishes. Meeting point at the port to embark (Saturdays from 13hrs). Welcome meeting with the teacher and captain on board. 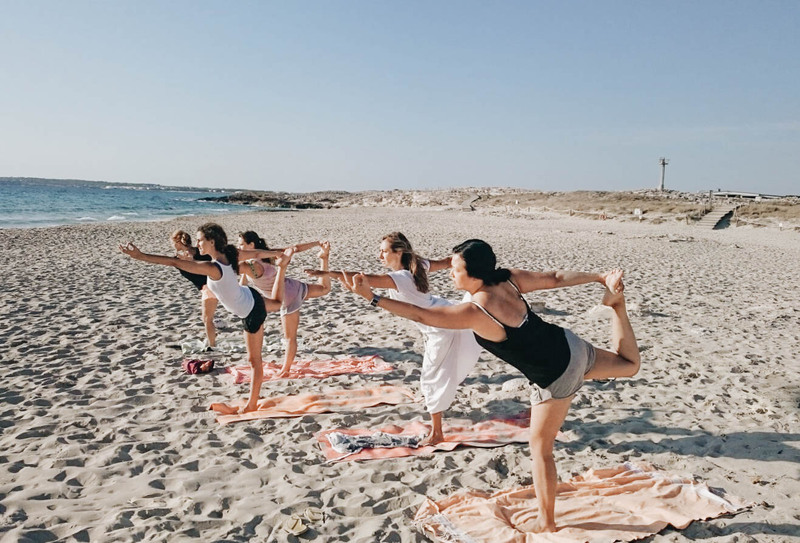 Yoga Class on the beach. Tidy up and Sailing to new location, with stops on different beaches, time for swimming, snorkelling or visit of villages, time on land. 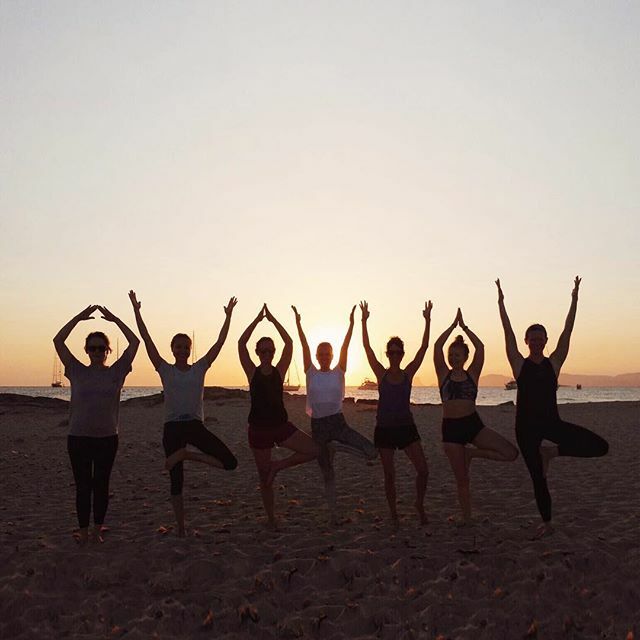 Evening Sunset Yoga class on the beach. 16.00 – Arrival to port. Please note many guests stays over in a hotel that following weekend. Feel free to book your own accommodation for that. At the Yoga Boat, we will offer daily vegetarian breakfast and lunch. Dinners will be free. Weather allowing, we will moor in nice beaches with nice beach restaurants to enjoy dinner. However, you are also welcome to stay on-board and cook your own food or with the ones also staying in.